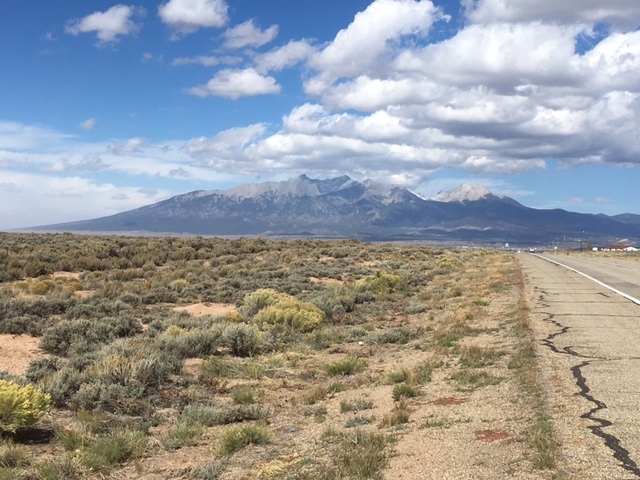 Trip Log – Day 333 – Walsenburg CO to San Luis CO | How Will We Live Tomorrow? One look outside my motel room in Walsenburg told me things had changed. Yesterday’s gentle stir of the trees had become a steady sway. I packed and left and rolled through town still not quite sure of the strong wind’s direction – until I turned west on US 160 and it hit me in the face. I settled into a Zen pace. I logged seven miles in the first hour. 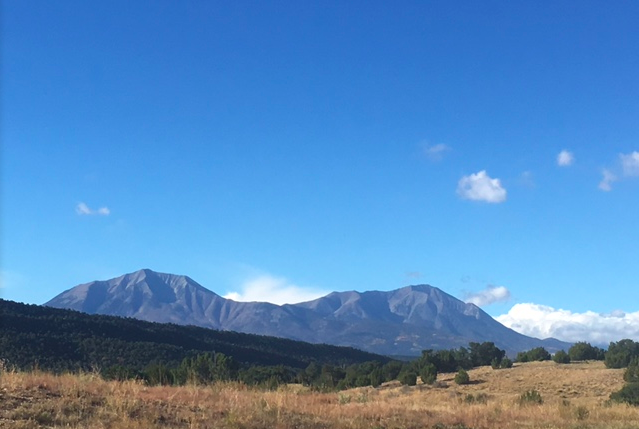 At this rate, I would spend hours in the shadow of Spanish Peaks and arrive in San Luis about 6:00 p.m. My Zen thoughts turned mathematical. Perhaps I should just get to Fort Garland? What if the wind got worse and I was stranded? Perhaps it will shift and my prospects improve? I kept pedaling. It was still morning and adventure lay in moving forward. Five miles per hour. Four miles per hour. The gusts were strong. One caught me quick and I had to drop my feet to the ground. After it passed, I restabilized and pedaled on. Twelve miles out, where Colorado Highway 12 veers to the south, I ground to a halt. The wind was steady at twenty-five to thirty miles per hour. Gusts were forty, maybe fifty miles per hour. Even when I could move forward, I was weaving too much to be safe. I dismounted, pushed Tom a few hundred feet, lodged him against a ‘Road Closed’ gate, thanked the fates it wasn’t snowing or raining, braced myself against the wind, and stuck out my thumb. I am inpatient by nature, so rather dislike hitchhiking. It’s so passive. I waved at cars and trucks that could not accommodate a guy with a bike, and sprouted a big thumb to pick-up trucks. After fifteen minutes that felt like two hours, a red Toyota came up the rise. I knew intuitively he would stop. Buddy Lane and I wedged Tom among the equipment in his bed. He drove me 35 miles to Fort Garland, over the spectacular Le Veta Pass. 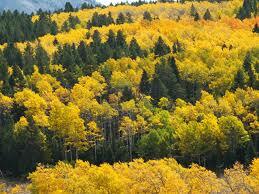 The orange Aspens were in peak foliage, bright against their evergreen neighbors. I might have bemoaned the pleasure of cycling through such splendor; except the wind was so strong I knew it was impossible. Trucks travel so fast. Despite the wind rocking the two-ton vehicle, we were in Fort Garland in no time. Buddy and I hit it off; we sat and talked in Fort Garland awhile before going our own ways. After being so pressed for time against nature, I was only sixteen miles from San Luis at noon. 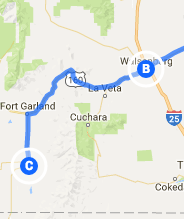 San Luis is directly south of Fort Garland, so my headwind turned into a crosswind; a different kind of challenge. Luckily, I enjoyed a big shoulder and little traffic, but riding was still difficult. I stopped every few miles to steady my nerves and absorb the amazing views. By 2:30 I arrived at my motel. A very short travel day in terms of miles cycled, but an exhausting day in terms of energy spent. The lowest average speed of my entire trip: slower even than the day I ascended Loveland Pass: 6.9 miles per hour. Colorado is a fabulous state to bicycle, but it makes you pay for its glory. 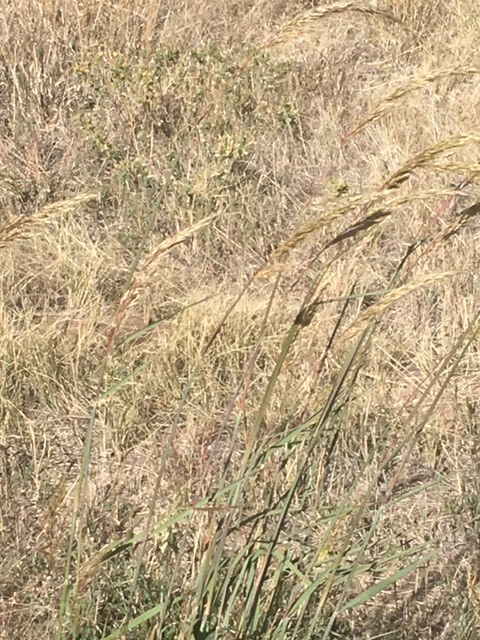 This entry was posted in Bicycle Trip Log and tagged Bicycle Touring, Fort Garland CO, headwind, La Veta Pass, San Luis CO, Walsenburg CO. Bookmark the permalink.